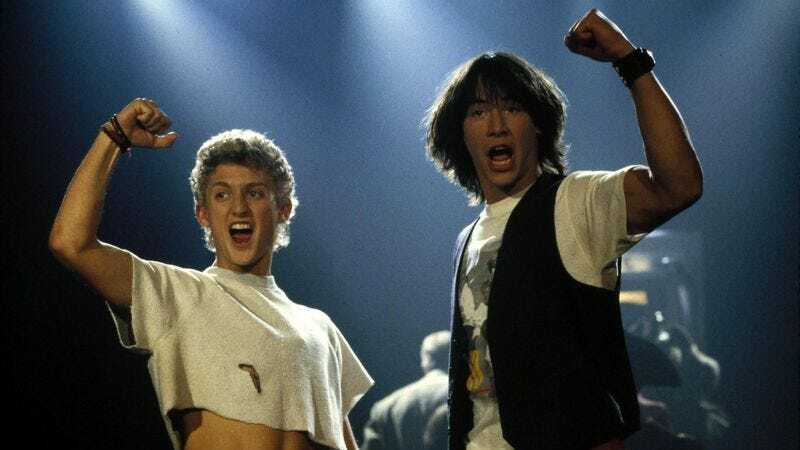 It’s not the long-brewing Bill And Ted 3, but Keanu Reeves and Alex Winter are reuniting for a righteous new project, although this one doesn’t call for the idiots-who-save-the-world acting chops that made them famous. Reeves will narrate the Winter-directed Deep Web, an original Epix documentary that centers on Ross William Ulbricht, a.k.a. “Dread Pirate Roberts,” who created the deep web black market known as The Silk Road. In addition to directing, Winter wrote and produced the film, which screened at SXSW Sunday and will premiere on Epix later this spring. The Silk Road was a notorious online marketplace for illegal drugs until the FBI shut it down in 2013; Ulbricht has since been arrested and convicted of charges that include engaging in a continuing criminal enterprise, narcotics trafficking, money laundering, and computer hacking. (A case in Maryland alleging that Silk Road was used by assassins-for-hire is still pending.) Deep Web includes interviews with the Ulbricht family, as well as ACLU technologist Christopher Soghoian, Cindy Cohn of the Electronic Frontier Foundation, and Wired’s Andy Greenberg, the first reporter to interview “Dread Pirate Roberts.” The documentary focuses heavily on Ulbricht’s story, but is also concerned with how his trial will affect the future of the Internet with respect to net neutrality and technological freedom in general. And who better to guide us through this complex material than the subject of one of the Internet’s favorite memes? Take us on another excellent adventure, Keanu. We’re all yours.